Lake Chelan sits in the shadow of the towering Cascade Range, tucked away in a verdant valley on the edge of the Eastern Washington plains. It’s here that the pristine Pacific Northwest wilderness meets the refined-yet-relaxed small-town charm of Chelan. 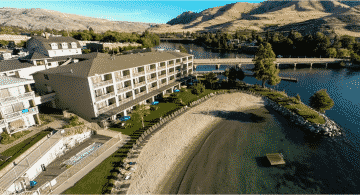 Campbell’s Resort is located right on the shore of Lake Chelan – Washington State’s largest natural lake – and adjacent to Downtown Chelan, a hamlet of shopping and dining. 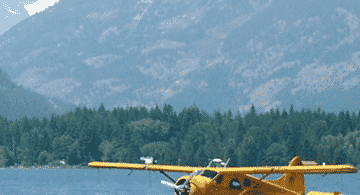 Lake Chelan is a great place for an escape to the great outdoors, and the lake itself is the main attraction. Swim, boat, fish, or just relax on our 1,200-foot beach. 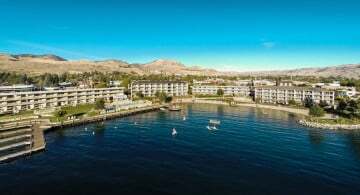 Our resort sits on the southeast end of the lake, located between the lush greenery of Lakeshore Park and Chelan River Park. Just outside the city limits of Chelan, discover outdoor activities for any season. Ski at Echo Valley, hit the hiking and mountain biking trails of nearby Okanogan–Wenatchee National Forest, or set out on a raft trip down the Methow River. The Lake Chelan wine valley is Washington’s newest and most exciting wine region. Recently designated an American Viticultural Area, Lake Chelan now boasts 20 member wineries. Set out from Campbell’s Resort for a relaxing, educational and delicious day of wine tours at several of the best vineyards in Lake Chelan wine country – many are located within 10 miles of our resort! The town of Chelan provides a welcome respite from the stress of big-city life. 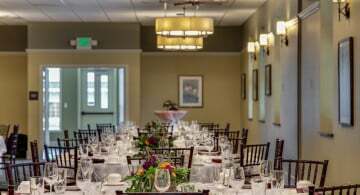 Downtown provides equal doses of rustic charm and contemporary sophistication, as the historic buildings house upscale restaurants, boutiques and bistros. The pedestrian-friendly town is the perfect place to spend an afternoon and evening browsing, dining and relaxing with friends and family. 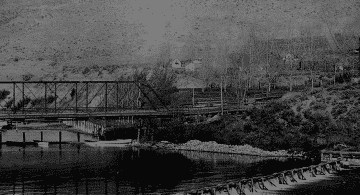 For more information on activities in Chelan, visit the Lake Chelan Chamber of Commerce. All materials copyright © Campbell's Resort 2018.